Ever wonder what you can do to improve your clinical study budgets and forecasts within your organization? Better yet, have you ever wished there was a manual or dictionary to explain study budgeting and forecasting? In this three-part video series, while only scratching the surface of this topic, we share some practical tips for those responsible for developing and managing clinical study budgets and forecasts. 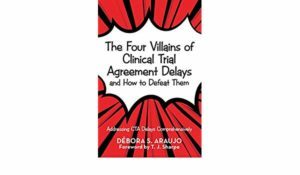 Check it out and share with those you feel may benefit from this knowledge. For those interested in more in-depth information on this topic be sure to let us know and stay connected as we will have some exciting offerings in the next few months for the ClinBiz community that will explore this topic and a few others in detail. Let us know your thoughts on this video and any topics you’d like discussed in future ones. 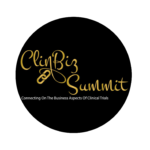 Also, have you registered for the ClinBiz Summit yet? I can’t wait to meet you at the there where we will have top speakers and experts sharing the latest technologies, best practices and trends to help you succeed within the areas of clinical outsourcing, clinical contracting and clinical financial management. Find Out More Here. Thank you for the feedback Silvania!